WSJ. 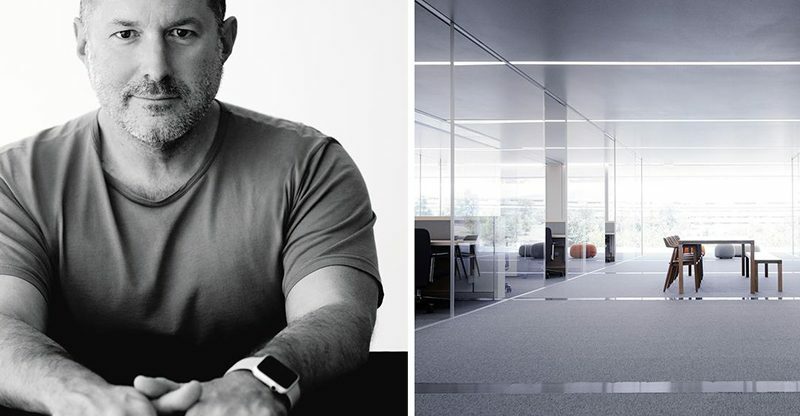 Magazine has shared a lengthy interview with Apple design chief Jony Ive about Apple Park, the company's new headquarters in Cupertino, California, revealing a few new anecdotes about the all-new campus and the exhaustive architectural process that has gone into constructing it. Ive, for instance, reportedly scoffed at a recent article claiming Apple Park has contributed to a tree shortage in the San Francisco Bay Area. The report also mentions that Ive's design team will be among the last to move into the new headquarters this fall. Employees began moving over from Apple's existing Infinite Loop campus in April, and when the transition is completed, the spaceship-like campus will reportedly house some 12,000 workers. Apple Park's fourth floor is where the company's executives will be situated, including Ive's design studio, along with the Apple Watch team and part of the group working on Siri, according to the report. Apple's Mac and iPad divisions will be interspersed with software teams on the middle levels, it adds. Apple Park's main cafeteria, which will reportedly serve some 14,000 lunches a day, is a four-level atrium with massive 440,000-pound glass doors. Apple employees have to pay for food, but at a somewhat subsidized rate, the report said. For perspective, some tech companies like Google offer entirely free meals. Outside, the green space within Apple Park's inner circle will play host to Apple's iconic "beer bashes" on Friday afternoons, which often include featured performances. Here, more than 9,000 trees, many of them drought-resistant, will supposedly have been planted by the time the campus is finished. Some of the trees will be regularly harvested to provide fruit for the campus kitchen, according to the report. WSJ. Magazine's complete interview is a worthwhile read for those interested in learning more about Apple Park. A handful of drone operators have also been filming monthly videos that provide a closer look at the new headquarters and its surrounding facilities throughout the construction phase. What he forgot to mention is that Apple built this facility so that employees like it better than their home and have more amenities there so they can work longer hours. Just sayin' - that's why companies build campuses like this. when the transition is completed, the spaceship-like campus will reportedly house some 12,000 workers. 12,000 workers...14,000 lunches, who's having more than one lunch?! Tim Cook promised Trump 3 big big big plants for the United States. What tree shortage? I think you can definetly count Philip W. Schiller as one of them, he has been "growing", he definetly need the "Thinning threatment" from Ive! I hope they open it up to tours - could be fun to see it.